After being inspired by Couponing to Disney I made a list of some of the products we use that I love. Then I sent emails to the companies praising their products but NOT asking for coupons. I received an envelope full of coupons from Dial last week and today I received a booklet of coupons from SC Johnson because I wrote to Glade about their Spring candles. LOTS of good ones too! 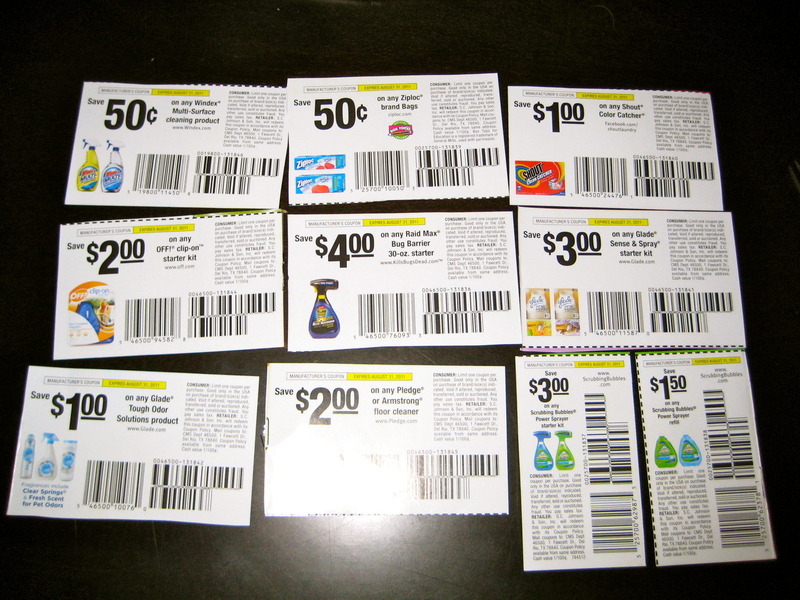 So if you’re looking to build your stash of coupons I highly suggest writing to some of the companies whose products you use on a regular basis. I mean look- one email made me almost $20! More than that actually because our grocery stores double up to 98 cents. Word. Oh, and if you’re thinking “OMG I don’t have time to write a million emails”…don’t! Just write one. Then save it somewhere, copy and paste, and change some details. Basically here’s what I wrote to Glade: ” Hi! I just wanted to take a moment to let you know how much I enjoy the Spring Sparkle Glade candles. The lime scent is so fresh and clean smelling! My husband, who normally doesn’t care what kind of candles I burn, even loves these and has remarked how good the house smells. I know the Spring Sparkle is a seasonal scent but please consider making it part of your permanent line. Thank you for making such a quality product at an affordable price! Sincerely, Shanny & CSP”. That’s it. Like 4 sentences. Took 2 minutes tops. Made almost $10 a minute!